With a solar powered battery charger you can trickle charge a car, boat, RV, laptop, cell phone and AAA-D batteries, and much more. Best of all you’ll be using the suns free abundant energy. A portable solar charger will provide an infinite power source to keep your batteries fully charged, compensating for a steady battery drain. There are many different shapes, power capacities and sizes of solar chargers available. Whether you are on the go and just need a portable solar charger handy to keep all of your electronics charged or you want to hook up a solar car battery charger and forget it, you will find a solar powered battery charger here to meet your needs. There is also a solar AA battery charger that can charge 2 batteries at a time. You can charge AAA, AA, C, and D batteries. DC or direct current electricity is the same type of current that a 12 volt battery produces. So this is why you can connect your solar charger directly to your battery with just a simple connector. If you have a need for a solar power battery charger then explore below all of the different applications and decide for yourself which one will do the job best for you. 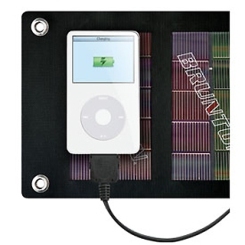 Solar cell phone charger, click here. Solar AA battery charger, click here. Portable solar charger, click here. Solar car battery charger click here.